Geneva - The United Nation's refugee agency (UNHCR) offered Tuesday to support the European Commission in its proposition for establishing a European Asylum Support Office. The executive wing of the EU will publish a proposal for such an office on Wednesday, in an attempt to help develop a more standardized refugee policy among member states. Asylum seekers from countries like Iraq, Somalia and Afghanistan are treated very differently by EU members, Ron Redmond, a UNHCR spokesman, said. Their chances of receiving protection "can vary from 0 per cent to over 90 per cent depending on the member state in which they lodge their application," said Redmond, adding that some people in need of asylum simply do not receive it. 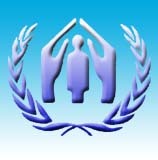 UNHCR said it would cooperate with the future office, including supplying experts and offering knowledge on conditions in asylum seekers' countries of origin.